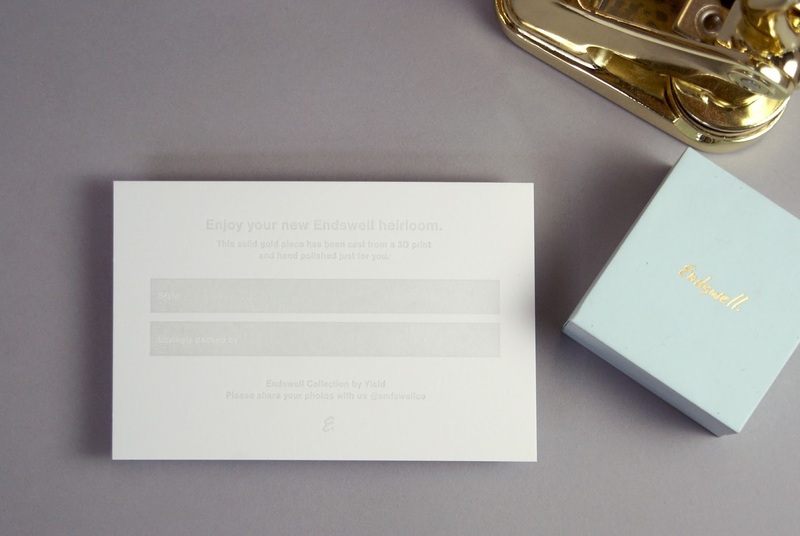 Endswell is a new collection of modern heirlooms from the San Francisco based design house Yield. 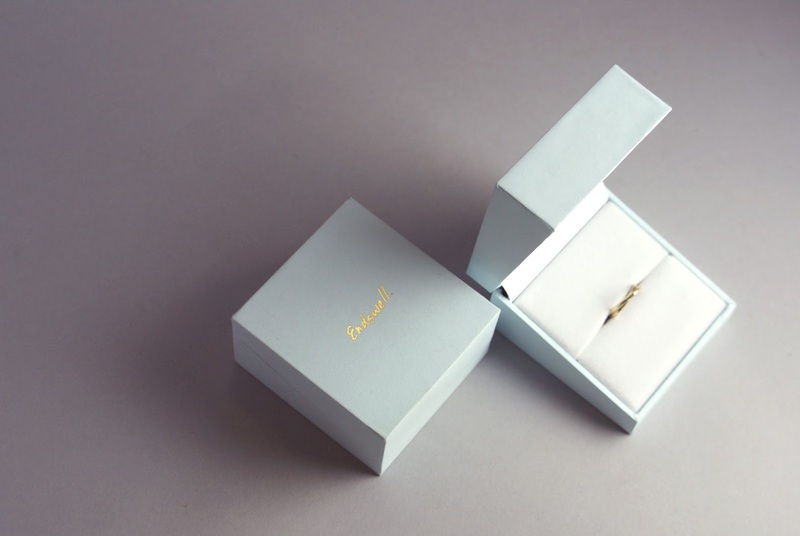 The collection blends classic quality and modern technology as each piece is cast in solid gold from 3d-printed waxes. 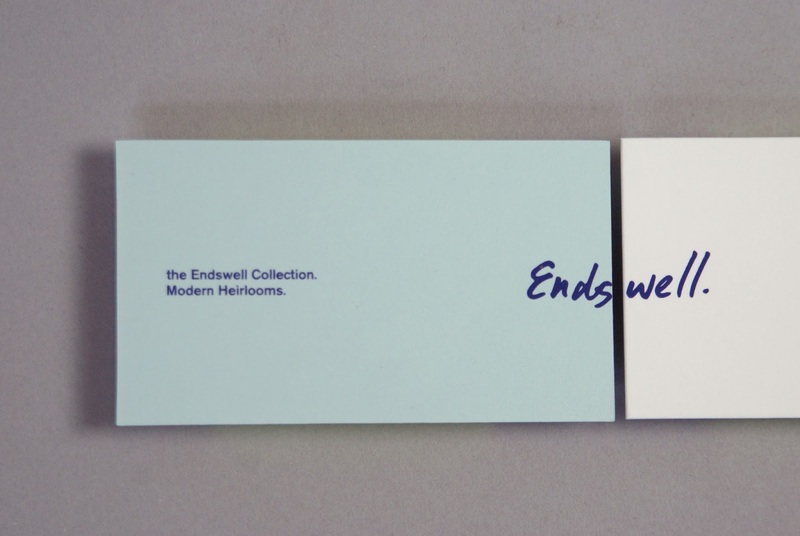 With designs that appeal to both men and women, the brand brings a refreshing perspective to an often stodgy category. 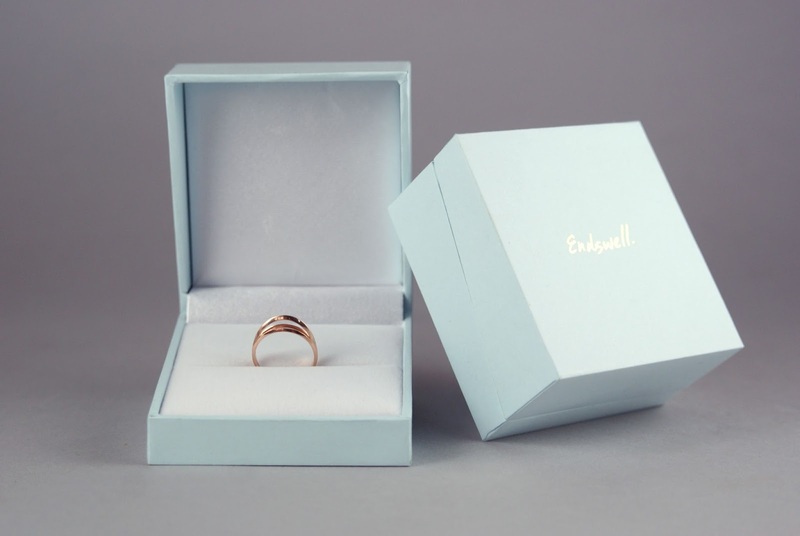 Endswell was born out of a desire to create memorable heirlooms that are meaningful because of their story, strong symbolism and high craft—not excessive adornment. 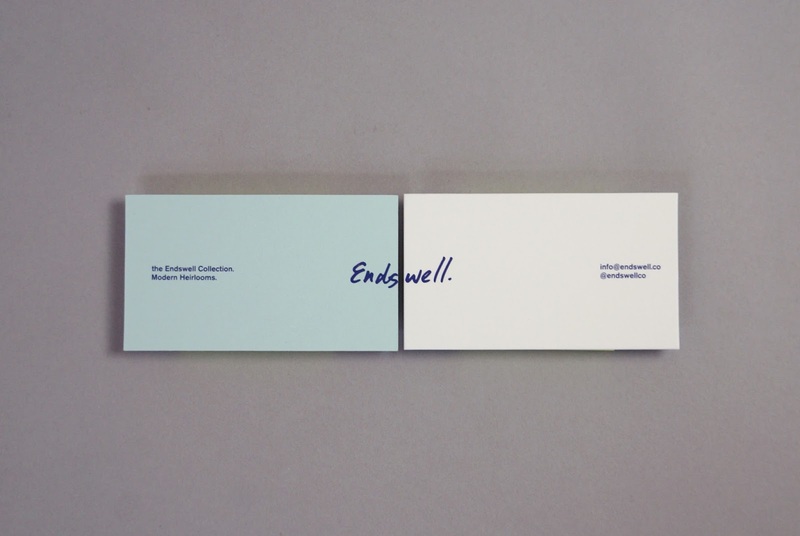 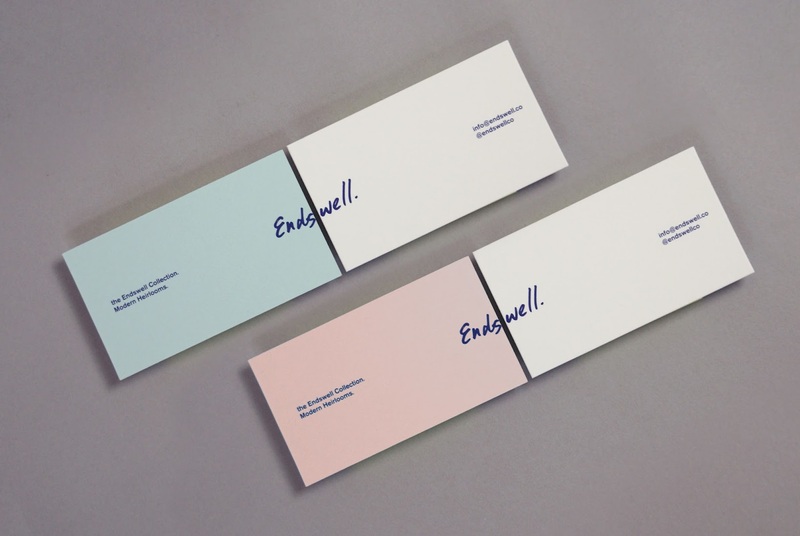 Endswell's packaging is a blend of past and present, pairing clean bold lines and strong type with a referential color scheme. 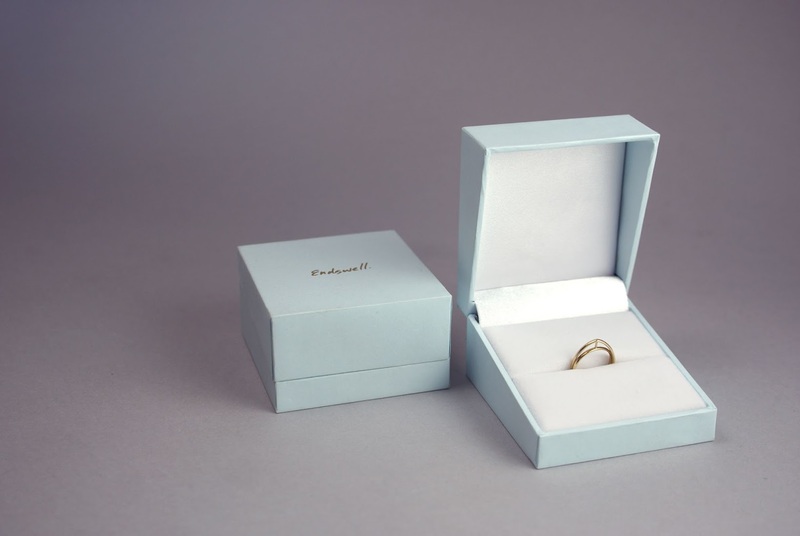 The angular lines of the custom crafted boxes create a fitting reveal for the strong geometries of the rings in the collection. 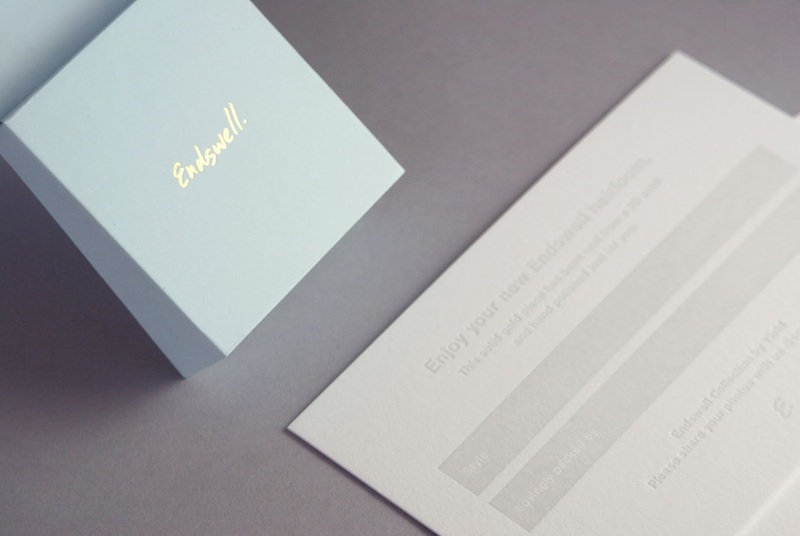 The materials were all designed to strike a balance of modern elegance with an approachable warmth.